NiHard castings in buckets and liners can be supplied in standard shapes and sizes. 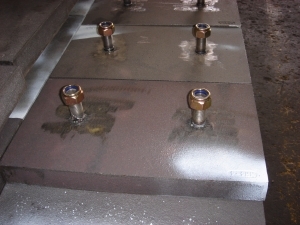 We provide wear packages of multiple products including NiHard, or design to your specific drawings and specifications. NiHard is a white cast iron product with nickel and chromium alloying, to give a hard chromium carbide in a martensitic matrix. This structure is suitable for products in high abrasive and high impact conditions. We can supply castings in Nihard and many other cast iron alloys based on your specific requirements.